Our new Cooler Cup is two great things in one: it’s a can or bottle cooler, and, with one quick switch, it’s a 12 oz beverage cup. 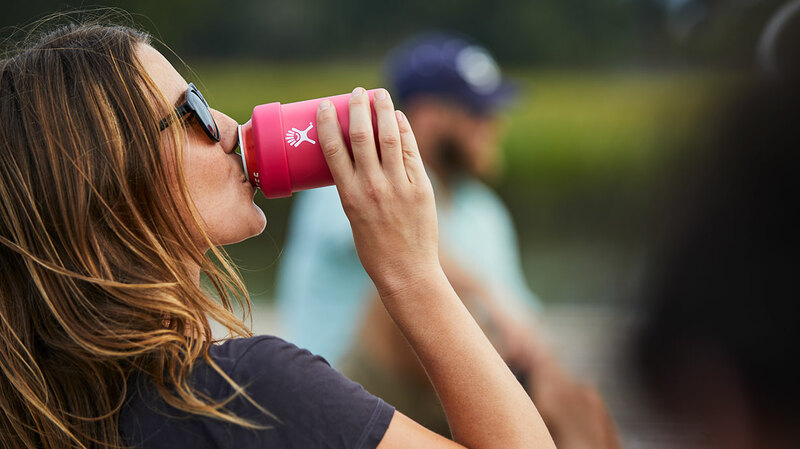 As a Cooler Cup, it’s brilliantly versatile with a silicone sleeve that lets you slide in a narrow bottle or a can—all with the same snug fit. Pop off the sleeve and you have a 12 oz cup made to keep cold drinks cold and hot drinks hot. The ultimate win-win. 12 oz Cooler Cup is rated 4.7 out of 5 by 16. Rated 5 out of 5 by Mike likes powder days from Excellent cooler/rocks glass I have a can coolers from other manufacturers that I have used and I like, but I figured I would give this a try since it doubles as a cup. The flexibility is a nice design feature. I'm a huge fan of anything I can carry that does more than one job. Overall, I am very impressed. Rated 5 out of 5 by Idahoskibum79 from Great Purchase I've had these a month or so and am very happy with the quality. I'm sure they will get used a lot more with summer approaching. Rated 5 out of 5 by Frogpoop from Nice and cold Very pleased with it keeping my drinks cold. So easy to slip the can in and put the lid on. Would like to have more than one. Rated 5 out of 5 by Moide from So versatile!!! Love this 12oz sensation. We are finishing a road trip and we used ours to the fullest. From coffee, wine, beer and margs we loved them and I am thinking I should buy more for gifts! Rated 5 out of 5 by karen55 from Great cup Bought this to bring to baseball games and it is fantastic !! Rated 5 out of 5 by Dan65 from Great product I am glad I bought it. I have two 32 oz. One 12 oz flasks. They are great! Love them! Rated 5 out of 5 by Iggy dollars from Can’t wait to bust these out this beach season Everything I could ever imagine in a 12 oz cooler cup. Rated 5 out of 5 by Bura530 from In Love (as always) Just got this as a gift. I love how my wine tumbler lid fits perfectly. I'm taking this to everywhere I go now. Thank you! Rated 5 out of 5 by carnabygal from Perfect! I've been waiting for hydro flask to make a cooler for cans! Exceeded my expectations. Also fits glass beer bottles securely! Can't wait for more colors! Rated 4 out of 5 by Tucson tom from great quality but only good for standard 12 cans I was very excited to order this new product. I was slightly disappointed to find that my favorite beer can (Coors Light) did not fit properly. Take note, the beer Cooler Cup is only good for "standard" 12 oz cans. Bud Light, Coke, fit PERFECT, however 12 oz cans like Coors light or Keystone or Michelob Ultra are taller/skinnier and you cannot get on the silicon ring/seal. So, I'll switch to bottles and remark this is a great fun quality product. Rated 1 out of 5 by nonickname111 from dribble glass As a cup it excels in what cups do, hold liquids. As a coozie for a drink the ridiculous rubber top makes it hard to drink out of and thus dribbles down your chin plus the rubber top becomes a little unsanitary. is it compatible with the cover that comes with the wine tumblers and coffee mug? Would it work for a 16 oz. can of beer?